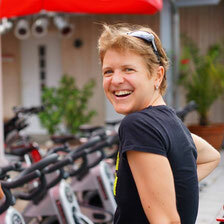 SaNu Training by Dr. Sabine Nunius - sanu-trainings Webseite! You're looking for a coach who speaks your language - both literally and metaphorically? As a state certified translator, I'm perfectly fluent in both English and German. I'm happy to support you with your personal fitness project, be it improving your general health, losing weight or discovering the holistic effect of yoga. You're interested in finding out more? Then do contact me at info@sanu-training.com!